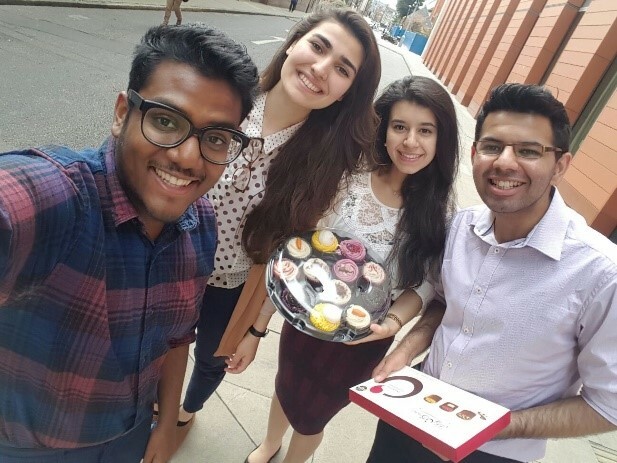 Prijay Bakrania tells us about his placement experience as a Pharmacy MPharm student here at Brighton. “As we integrate clinical knowledge and skills right from the get go, it means that Brighton Pharmacy students will have a better clinical knowledge than students from universities where there is a clear divide between science and practice. This has been really advantageous when applying for summer placements and pre-reg placements as it sets us apart from other students. Going on clinical placements and putting what you’ve learnt into practice is a real highlight of the course. We have a 1-week placement at a local hospital in both 3rd and 4th year, where you become an integral part of the pharmacy team, as well as several shorter hospital placements in 2nd year. We also have placements in community pharmacies in both 1st and 4th year. I managed to secure a summer placement at Barts Health NHS Trust in London, the largest NHS trust in the country. I was based at The Royal London Hospital which is a major teaching hospital and the home of the London Air Ambulance. I was there for 4 weeks, where I rotated through the admissions ward, surgery (with a short stint in critical care), paediatrics, and renal medicine. As a summer student, my main role was to observe the clinical pharmacists on the wards and to pick up some of their knowledge that they imparted, being experts on the use of medicines. I also got to spend some time with various specialist pharmacists who organised teaching sessions on very exciting topics e.g. renal failure and transplantation. Throughout the placement I was also tasked with finding a patient on the wards who I could present a case study on to my fellow summer students, pre-registration pharmacists, and specialist pharmacists. I found an interesting patient in my 1st week and then worked throughout the placement to understand their medical conditions and the issues that they had with their medicines, and then find appropriate solutions. For example, my patient could not swallow tablets, so I had to use specialist resources to find alternative medicines that would do the same job but were in liquid form so the patient could take them. I thoroughly enjoyed my short time in the intensive therapy unit, where I saw and spoke to patients who had been in severe accidents; tracking them as they recovered was very rewarding. The most challenging part was probably the fact that as hospital pharmacists you have to know so much about medicines including how they work and how they’re handled by the body. You also have to know how to use them in specific patient groups, e.g. patients with liver or kidney failure, where the doses of medicines may have to be changed! I really put what I’d learned into practice on placement, for example – one of the clinical skills that we learn in 2nd year is taking a drug history from patients (that is collecting various bits of information from patients on the medicines that they regularly use). On my placement, I took drug histories from several patients and also got some excellent feedback from clinical pharmacists on what was good and how I could improve in the future. We realise this can be a really challenging time of year for you – students often struggle with homesickness, feel stressed about academic work, there may may money or housing challenges, stuff going on in your personal life, you may be struggling to settle into university life or not sure if the course is right for you. The first thing to remember is this is COMPLETELY NORMAL! The second is that there is plenty of support available for you at the university. Like my facebook page PABS Student Support for information about upcoming events, university and local services, wellbeing and study tips! Scientists at the University of Brighton are playing an integral role in developing a new early warning system that tells patients and carers when urinary catheters are infected and at risk of blocking. Urinary catheters are the most commonly used medical devices, with hundreds of millions sold worldwide every year. Many of these will be used for long-term management of incontinence in older individuals or those with spinal cord injuries, and these patients are at particular risk of infection, and associated complications. One of the most serious complications of infection is the encrustation and blockage of catheters, which is mostly caused by a bacterial species called Proteus mirabilis. Blockage, in turn, leads to the onset of serious complications such as kidney infection and septicaemia, one of the UK’s biggest killers. A reliable system for patients or their carers to spot infection early and take action before blockage occurs would have considerable benefits to patients, and could considerably reduce NHS costs. 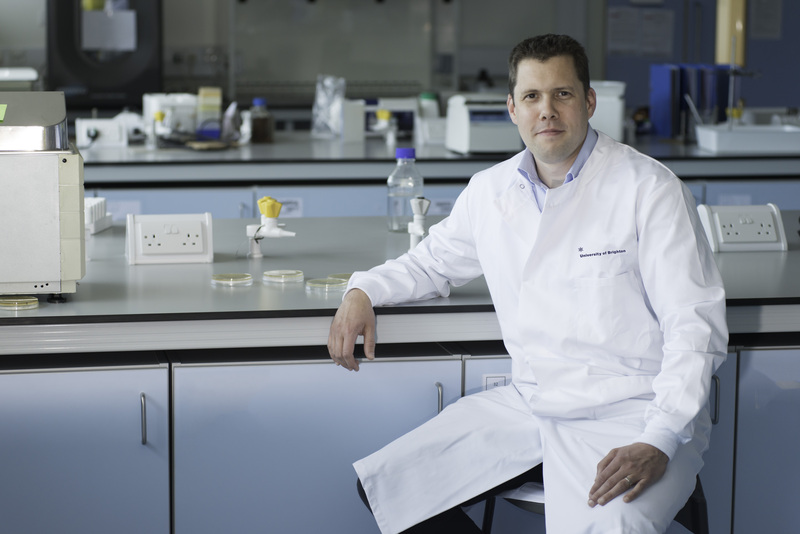 Leading the university’s research is Dr Brian Jones, Reader in Molecular and Medical Microbiology at the university’s College of Life, Health and Physical Sciences, and Head of Research Development at the Queen Victoria Hospital, East Grinstead. 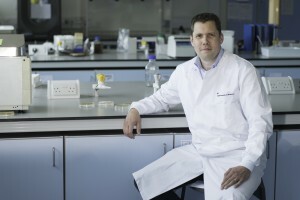 This work is a collaboration with scientists at the University of Bath.